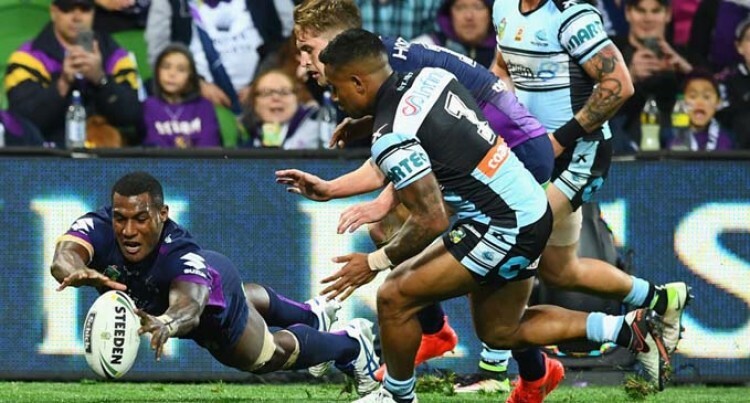 This is the most tries any Melbourne Storm player has ever scored in one season. Vunivalu has also broken Israel Folau’s 2007 club record (21) for most tries in a NRL season. He is just the eighth player to cross for 20 tries or more in a rookie year. Vunivalu, Gold Coast sensation Ash Taylor and Penrith teenage playmaker Nathan Cleary are locked in a three-way battle for the NRL Rookie of the Year. The TAB framed a mock market which had Cleary $3.50 favourite, just ahead of Taylor ($4), Vunivalu ($5), Mitchell ($9), and $11 hopes James Fisher-Harris, Bevan French and Josh Aloiai. The Storm will be out for revenge this weekend against the Cowboys. Last year the Cowboys thrashed the Storm 32-12 at the same stadium in a preliminary final. “Hopefully we can carry that [last night’s] sort of form over the next couple of weeks,” Storm coach Craig Bellamy said.